The U.S. seeks to employ a “calibrated” approach, using maximum economic pressure to push Iranian oil exports to zero without seeing oil prices soar, Special Representative Brian Hook says • Iranian general: We will defeat the U.S. in an economic war. The United States is determined to push Iranian oil exports to zero, U.S. Special Representative Brian Hook said on Wednesday, through a “calibrated” approach using maximum economic pressure without lifting oil prices. “We have been very careful about applying maximum economic pressure [on Iran] without lifting the price of oil and we have done that successfully,” Hook told reporters. Brig. Gen. Hossein Salami, deputy commander of Iran’s elite Revolutionary Guards, said on Wednesday that his country can flourish under sanctions and would defeat the United States in the economic war. Oil prices in October rallied above $85 per barrel on fears of a steep decline in Iranian exports and have fallen since then. On Wednesday, oil slipped after U.S. crude output hit another record and domestic inventories rose more than expected. Hook raised the possibility that countries and port operators could face U.S. penalties for facilitating Iran’s “illicit activities” if they allowed Iranian ships access to international waterways and port facilities. Iran regularly shipped “millions of barrels of crude” to Syria in support of Syrian President Bashar Assad, he said. President Abdel Fattah el-Sissi has received Palestinian Authority President Mahmoud Abbas’s approval for efforts to achieve an initial “period of calm” between Israel and Hamas in the Gaza Strip, the London-based Arabic paper Al-Hayat newspaper reported Thursday. The first period of such a calm would last two to three weeks, followed by a longer six-month period. 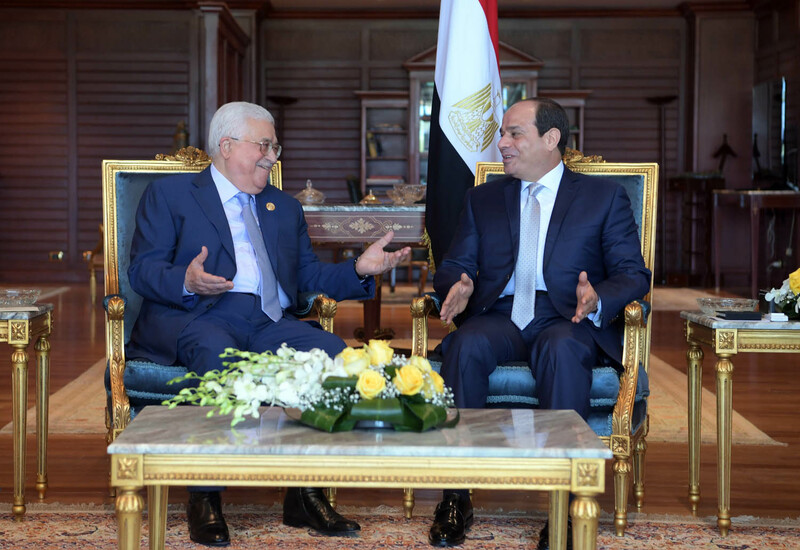 The paper said Sissi told Abbas that after calm is achieved, Egypt will move forward on efforts to reach reconciliation between Hamas and the Palestinian Authority’s Fatah movement and bring the two territories back under unified rule. Egypt would then work to reach a long-term ceasefire between Israel and Gaza’s armed groups, the report said. It cited “reliable” Palestinian sources. Sissi reportedly told Abbas a deal would be “an opportunity for the people of Gaza to breathe,” a suggestion the PA chief agreed to. The paper added that Israel had agreed to transfer $90 million (likely from Qatar) over a six-month period to pay Hamas-employed government workers in the Strip, under UN monitoring. It was also said to agree, as part of the initial calm, to increase exports from Gaza including vegetables, furniture, clothing and other goods. Hamas, an Islamist terror group that seeks to destroy Israel, has controlled Gaza since it ousted the Fatah-dominated PA in 2007 from the coastal enclave. The two Palestinian factions have remained deeply divided ever since. Israel holds Hamas responsible for all attacks emanating from Gaza. Ramallah-based PA officials have previously insisted a Fatah-Hamas reconciliation should precede any possible ceasefire. They have also contended that the Palestine Liberation Organization, which Abbas chairs, is the sole party with the legitimacy to negotiate a ceasefire with Israel. Hamas terror group leader Ismail Haniyeh delivers a speech on the first day of the Muslim Eid al-Adha holiday in Gaza City, the Gaza Strip, August 21, 2018. Over the past several years both Fatah and Hamas have signed a number of agreements, including an Egyptian-brokered deal in October 2017, to bring Gaza under one government and advance reconciliation efforts, but the rival parties have failed to implement them. According to a report by Lebanon’s Al-Akhbar newspaper on Saturday, the emerging ceasefire agreement aimed at calming months of violence on the Israel-Gaza border will last for three years and see a significant easing of the blockade on the Hamas-controlled territory. According to the report, the deal being brokered by Egypt stipulates a gradual stop to the ongoing, Hamas-orchestrated violent border protests and maritime flotillas over the next two months. In addition, Hamas will be obligated to punish Gazans caught engaging in violent demonstrations along the border with Israel. In return, Egypt will permanently open its Rafah border crossing and lift 70 percent of its blockade on the Hamas-controlled territory, the report said, citing officials familiar with the emerging agreement. Al-Akhbar said the deal would require Israel to grant 5,000 work permits for Gazans, and expand the Strip’s fishing zone from nine to 14 nautical miles. At a later stage after the deal is implemented, Al-Akhbar, said Egypt would work to advance a prisoner exchange deal between Israel and Hamas. Border protests, which have included many violent acts, have taken place weekly since March 30. Their organizers have said the protests aim to achieve the return of Palestinian refugees and their descendants to lands which are now part of Israel, and pressure the Jewish state to lift its restrictions on the movement of people and goods into and out of the coastal enclave. But last Friday’s border rallies were largely peaceful. Deputy Hamas chief in Gaza Khalil al-Hayya Hayya said the protests were scaled down to give the ceasefire efforts a chance, according to the Associated Press. The Syrian military on Thursday said the S-300 air defense systems it received from Russia were largely stopping Israel from successfully conducting strikes against targets in the country. “There is no concept of zero probability in military strategy. We cannot say that this probability has been reduced to zero,” Brig. Gen. Hasan Ahmad Hasan, head of the Syrian Army’s political bureau, told the Kremlin-backed Sputnik news site. “I cannot say that in the end there will not be such a probability; however, the probability of this aggression achieving its goals has been minimized,” he said. 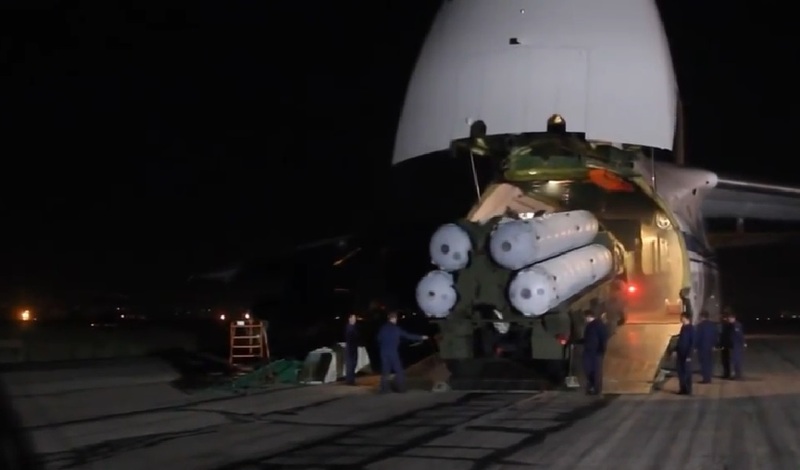 Russia delivered the advanced S-300 anti-aircraft batteries to Syria last month following the downing of a Russian military plane by Syrian air defenses during an Israeli strike on Iranian targets in Syria the month before. In addition to four interceptor missile launchers, Moscow also provided Syria with new radars, targeting systems and command centers. Syria’s long-time ally Russia blamed Israel for the downing of the plane and the deaths of the 15 Russian servicemen on board — a charge rejected by Jerusalem. Jerusalem has also rebuffed a Russian claim that Israeli fighter jets hid behind the Russian reconnaissance aircraft following their attack. Prime Minister Benjamin Netanyahu last month told Russia that Israel must continue to hit hostile targets in Syria to prevent Iran from establishing a military presence across the border. While there has been a noticeable drop in reported Israeli raids following the September 17 incident, a senior Israeli official last month said the Jewish state has in fact continued attacking targets in Syria. On Wednesday, the incoming United States envoy for Syria said he hoped to see Russia maintain a “permissive approach” to Israeli airstrikes on Iranian assets in Syria. Israel has carried out hundreds of airstrikes in neighboring Syria against Iran-linked targets in recent years and has accused Tehran — which like Moscow supports the Syrian regime in the seven-year civil war — of seeking to entrench itself militarily in the country. 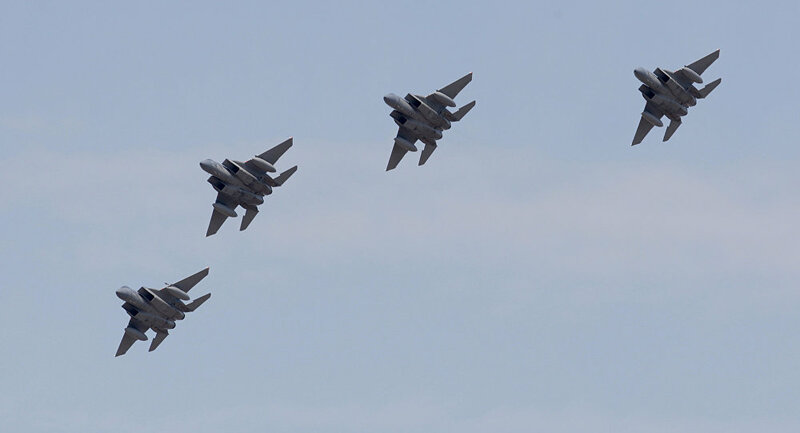 “In the past Russia has been permissive in consultation with the Israelis about Israeli strikes against Iranian targets inside Syria,” US envoy James Jeffrey said. “We certainly hope that that permissive approach will continue,” he told journalists in a conference call. Special US envoy for Syria, James Jeffrey, said on Wednesday, Nov. 7, “We certainly hope Russia’s permissive approach will continue” for Israeli air strikes in Syria against Iranian targets, despite its supply of S-300 air defense systems to the Syrian government. He noted that Russia has been permissive about the flights in the past – in consultation with the Israelis. The American diplomat spoke after meeting Prime Minister Binyamin Netanyahu in Jerusalem on Monday, Nov. 5. However, DEBKAfile’s military sources have seen no sign of Moscow relenting. Quite the reverse; Moscow indicated this week that should Israeli jets enter Syrian airspace to attack Iranian targets, the S-300 would shoot them down. According to our sources, Ambassador Jeffrey’s talks with Netanyahu, attended also by high-ranking IDF officers, encompassed the situation in Syria, including the possibility of a military clash between Russia and Israel. This clash is envisaged to take place shortly after President Donald Trump sits down with President Vladimir Putin in Paris next Sunday, Nov.11 – or even while it is taking place.